Mitch proudly shows off the Australian flag after his Newton's victory. With Newton’s over, the chase for Asia Pacific Continental points begins! Asia Pacific’s riders set their sights on Tame the Taipan; a fast and technical race track in Brisbane, Australia. 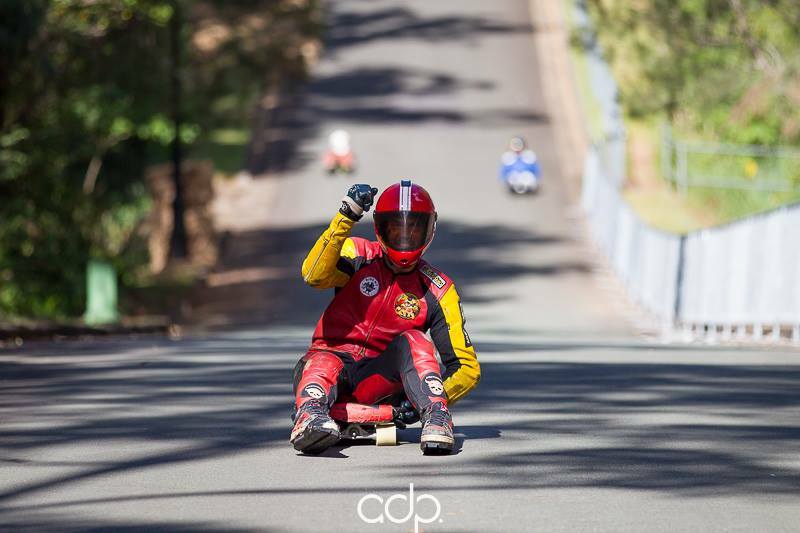 Last years Asia Pacific Champ, Josh Evans, claimed Taipan victory in 2018. He will be looking to do a repeat and withhold the title from a pumped-up Mitch Thompson, who just won Newton’s and secured valuable points. Mitch is no stranger to racing fast and technical courses. He won the 2018 Romanian IDF race, Pasul Vulcan, where riders reached high speeds on a rain-soaked, technical course! Mitch has both the skills and gumption for Taipan - a good thing with the possibility of rain in the forecast this weekend! It will make for a very different race than Newtons. Even with a World Cup win, Mitch has not yet secured the Asia Pacific Championship - not even close! The new IDF rule awards identical points to WC and WQS races when counting towards the Continental rankings. With a maximum of three results being used, and three races left, there is still plenty of opportunity for shifts in the rankings. 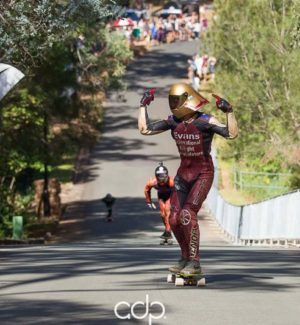 Other top contenders for the title include Zak Mills-Goodwin (AUS), Harry Clarke (AUS), Jackson Shapiera (AUS), and Jaime de Lange (PHL). Zak is an up-and-coming Aussie racer, and has been sharpening his skills through world travels the past two years. He has proven himself a worthy adversary and is feeling the juice after his consi-final win at Newton’s. 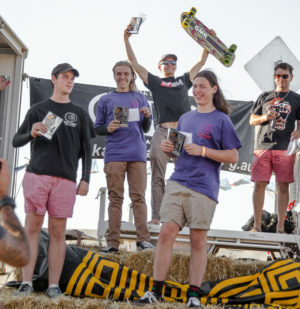 Harry earned second in the Newton’s consi final and placed sixth in the Open World rankings in 2018. He holds the track record at Pasul Vulcan, proving that courses like Taipan are his bread and vegemite! Jackson (Jacko) is well decorated with podiums around the world, but he has yet to hold onto the IDF Asia Pacific title. We hear he is gunning for it this year; and with over ten years experience on the track, he knows the race game and how to play it. Jaime, people’s champ of the Philippines, is not to be counted out. He proved himself at Newton’s when he just missed the cut for the top-ten shootout. If he wants to steal the title from the ever-dominating Australian faction, he needs to place well at Taipan before heading back to his home turf for the last two races of the Asia Pacific Continental tour. 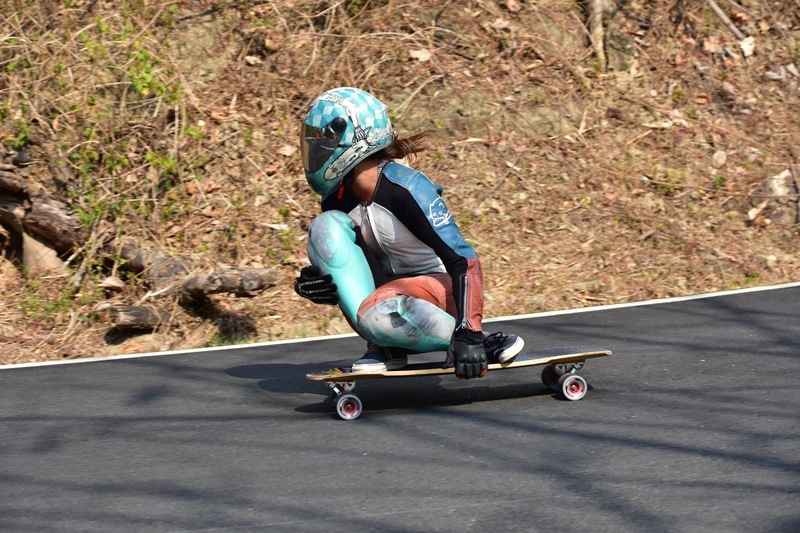 International racers who may interfere with the Asia Pacific Continental fight at Tame the Taipan include Newton’s top finalists: Daina Banks (USA), Morgan Owens (USA), Chase Hiller (USA), and Micah Green (USA). The fight for Asia Pacific Luge Champion will also be heated as Graham Brittain (AUS) follows closely behind three-time Asia Pacific Luge Champion Abdil Mahdzan (MYS). Taipan will act as proving grounds, as it’s easily the most technical track on the Asia Pacific tour. Only the Aussie lugers have braved this steep descent, giving them the home court advantage! 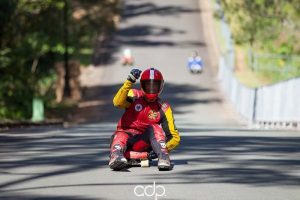 To add to the heat, Julian Slaney (AUS) and Shaun Condon (AUS) are hot on their wheels with a finals finish at Newton's. Both racers will be looking to get in-the-mix, and up their points, this coming weekend at Taipan. Also a three-time Asia Pacific Champion, Elissa Mah (NZ) is back to hold it down for New Zealand and defend her title! After her third-place finish at Newton’s, Elissa is in the lead - but just barely! 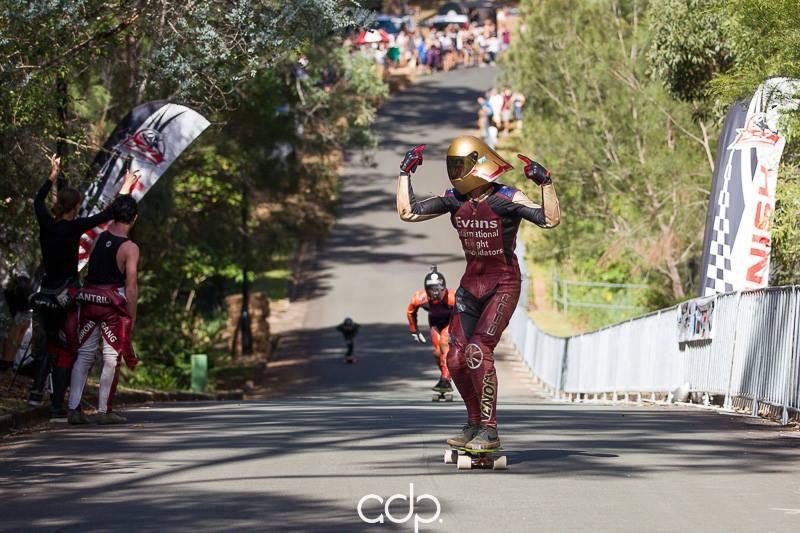 Jasmine Ngaparu (AUS) received a 4th at Newton’s and can still knock Elissa off her throne. Newton's 2019 Junior's Podium. Left to right: Riley Young, Benson Marquart, Nick Broms, and Lewis Saxon. The Juniors’ fight for Asia Pacific Champion will probably be the most exciting for subcategories as there are currently five juniors fighting for the championship, including one New Zealander, Fin Grayswann! Right now, Benson Marquart (AUS) is in the lead with a second place finish at Newton’s. Other top contenders include Lewis Saxon (AUS) and Riley Young (AUS), both Newton’s junior class finalists. Neil Duddy (AUS) is holding onto first for Masters, thanks to a third-place finish at Newton’s. Bill Edwards (AUS) is just behind him with a fourth-place finish. So far, there aren’t many masters in the running, but there is still time! If an Asia Pacific Master’s racer was to attend the final Asia Pacific events, then they may win the title AND the cash for their commitment to the game.